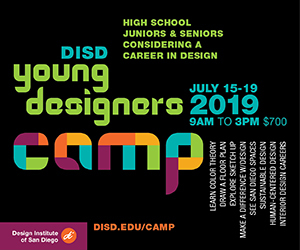 Every summer thousands of kids in Junior Lifeguard uniforms gather at San Diego beaches for a fun-filled, formative experience. Whether swimming out to an offshore buoy, distance running in the sand, paddling through the surf, or competing in a game of beach flags, these kids are learning about ocean safety and the ocean environment while having the time of their lives. Junior Lifeguard (JG) programs are offered through both city and state beaches. Kids ages 9–17 are instructed and supervised by certified, experienced ocean lifeguards, many of whom are JG alumni. Each location’s program varies in terms of daily activities, schedules, special excursions, seasonal traditions and competitions, but all emphasize one basic theme—to provide essential ocean safety education in a fun, recreational environment. “We think it’s very important for kids in San Diego, who are this close to the ocean, to be water-savvy,” says James Murphy, manager of the City of San Diego JGs. While the JG program is designed to teach ocean safety, it is not a forum for actually learning to swim. 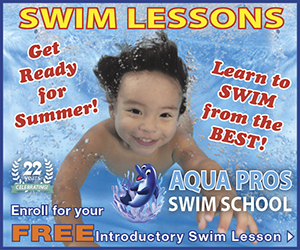 New participants are required to pass a swim test upon enrollment. 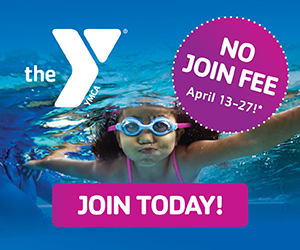 Program requirements vary, but most include a 100-yard timed swim, treading water and an underwater swim. The typical day of a Junior Lifeguard varies, but generally begins with warm-up and stretching, followed by the daily “vitamin”—some combination of swimming, running and/or paddling. “We tell them it is called a vitamin because it is good to get a work out in on a daily basis, just like taking your vitamins,” says Oceanside lifeguard sergeant Mason Turvey. A key component is the daily lecture on ocean safety. Bill Feeney, director of Solana Beach JGs, says, “We want to make sure the kids are getting age-appropriate instruction in issues that are critical to this community—bluff safety, rip current knowledge and awareness, sun protection and education on the wildlife and environment of the beach.” Other instructive lessons might include information on waves, tides, basic first aid or CPR, often paired with related, physical activities to emphasize the important safety messages. Fitness is another focus of the program. Along with individual lifeguard skill development, kids participate in team relay races and large-scale group games, such as beach flags, dodge ball or capture the flag. Free swim is often the most popular time of day. Participants can swim, body board, build sandcastles, play in the waves or even learn to surf. Occasional field trips are also eagerly anticipated. Many JGs visit La Jolla Cove for snorkeling and cave exploration, while others spend time at local water parks. 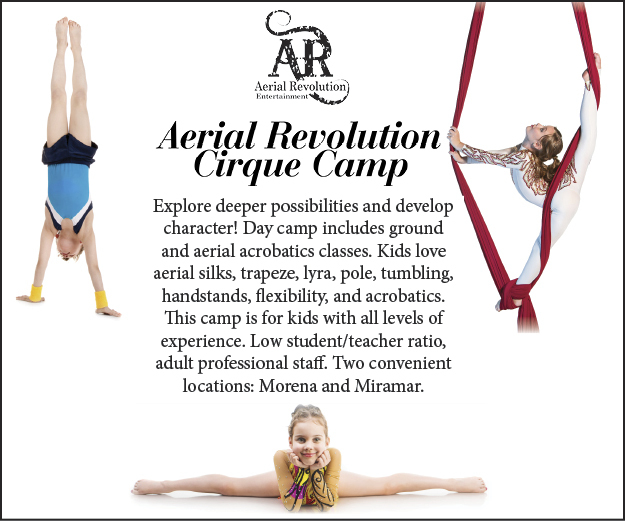 Some locations offer a single month-long summer session, while others offer a variety of shorter sessions, dates and times. Some have 5-hour days, others have 3-hour days with choice of morning or afternoon. 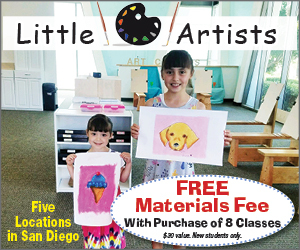 Modified programs for 7/8-year-olds are also available, such as Junior Grommets in San Diego or Little Turtles in Del Mar. A number of programs offer volunteer aid positions or paid internships for returning teens. At some point during most sessions, there is a competition day to showcase participants’ new and improved skills. This day involves a series of traditional lifeguard events including distance run, distance swim, run-swim-run, beach flags, distance paddle and team relays. Some of these competitions are organized in-house, others are regional or even statewide. Families are always invited to cheer on the kids. “Competition days are some of the most fun and memorable days on the beach,” says Del Mar JG director, Turtle Rudolph. Lisa Pawlak is an Encinitas resident, freelance writer and mother of two JGs. She is a regular contributor to San Diego Family Magazine. It's time to Fire Up for Camp season! 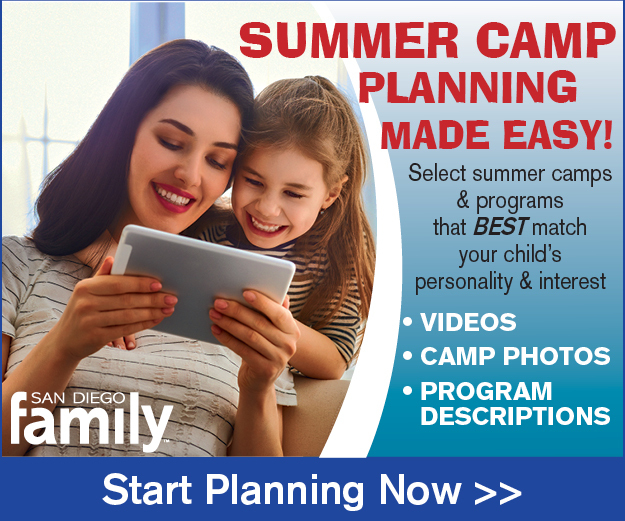 Browse through San Diego's Camp Guide to find awesome spring and summer camps where kids will learn new skills and make lifelong memories. Do you have a future . . . Millions of kids nationwide face adversities such as a parent having cancer, death of a loved one, their own cancer diagnosis or family substance abuse. Many organizations offer a reprieve for local . 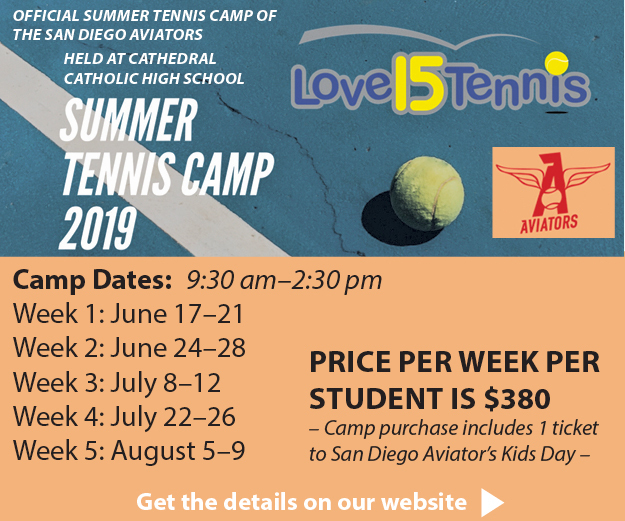 . .
With San Diego’s oceanic surroundings and ideal climate, it’s no surprise that local summer camps often include aquatics-based recreation. If getting wet is your child’s favorite part of summe . . . Does your child have a special need? Are they facing a challenging medical condition? Just not sure they’d fit in socially at summer camp? 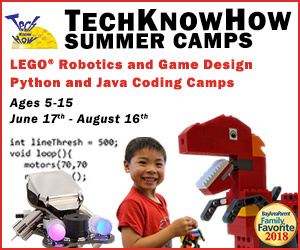 The enormous benefits of summer camp apply to everyone, s . . . Here are some fun ideas for summer camp care packages! Camp care packages do not need to be big. It is better to keep the summer camp care item simple—a card, a little love note, or a small box o . . . The bottom line about summer camp costs is that there is a summer camp to fit nearly every budget. 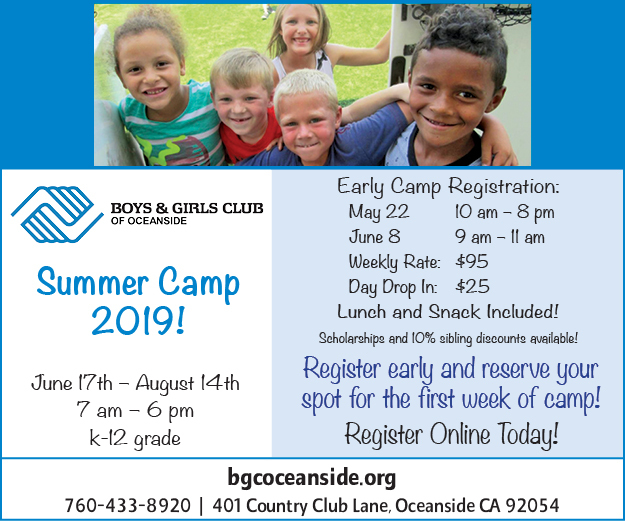 Many families may miss out on the summer camp experience for their children because they aren’t a . . .
Is Your Preschooler Ready for Day Camp? There’s so much to love about summer camp: fun traditions, new friendships, the great outdoors, art, athletics and much more. Even the littlest campers can expect a positive experience. According . 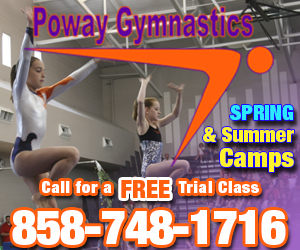 . .
Is Your Child Ready for Sleep Away Camp? 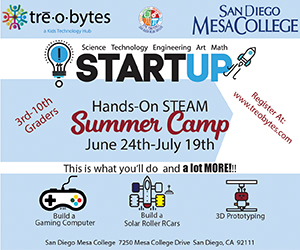 Is Your Child Ready for Sleep Away Camp? Can He Handle an Overnight Camp?When is the right time to send your child to sleep away camp? Here are four signs your child may be ready for an overni . 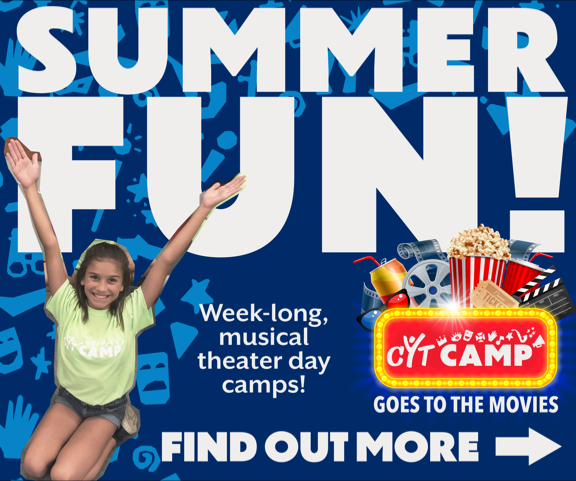 . .
Summer day camp is a place where children can learn new skills, acquire new interests and make new friends. But there is no one-size-fits-all camp. 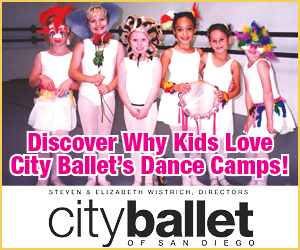 To find the right day camp for your child, conside . 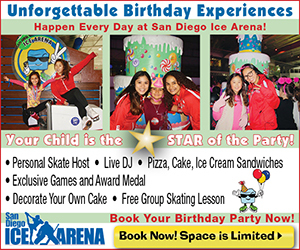 . .
Have Fun this Summer with San Diego Junior Lifeguards Every summer thousands of kids in Junior Lifeguard uniforms gather at San Diego beaches for a fun-filled, formative experience. Whether swimming . 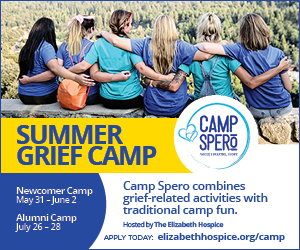 . .
Summer is the perfect time for teens to gain valuable leadership and work experience by being a counselor in training (CIT) or junior camp counselor. There are many volunteer opportunities as a CI . . .
We recently went camping with three families that “camp” in their RVs about a dozen times a year. Even though we hadn’t camped for four years and we don’t own an RV, we were not intimidated. . . . If your kids are going to camp this spring or summer, you may be wrestling with worries and what-ifs. What if the other kids are cliquish or mean? Will the camp director call me if she’s miserable . 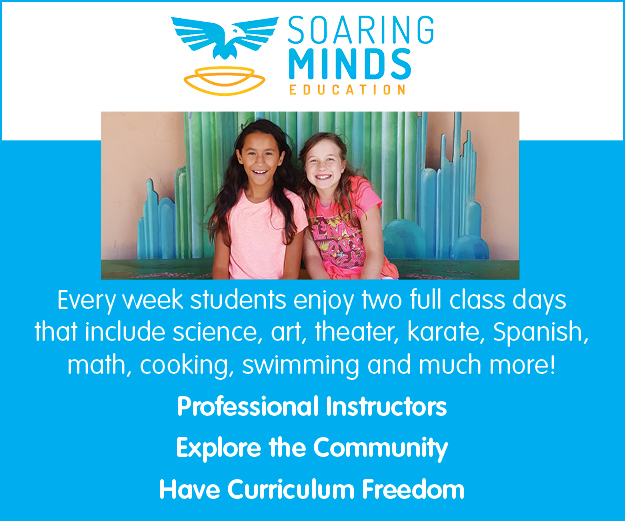 . .
Help your child retain reading, writing and math skills this summer without making it feel like work. Incorporate learning into daily errands and interactive activities found in your own backyar . . . The Top Five Reasons Kids Should Go to CampSummer camp can be one of the most rewarding, unforgettable experiences in a child’s life. Camp provides children with a community of caring mentors who . . .
Ready, Set, Camp-Escrita en Español! What happens when you make the decision to choose camp? You open up a world of discovery and learning for your child, a world that values children for who they are and who they will become. Camp giv . . . Sailing is an incredible experience that has lifelong value and rewards for kids. Consider sailing lessons and camps as you plan your child’s summer activities.1. Time outdoors. Sailing is an ideal . 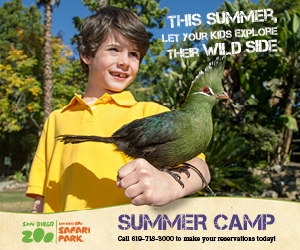 . .
Ready to embark on a San Diego family camping adventure? 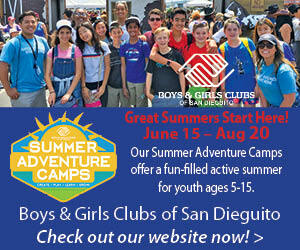 Help your kids experience the great outdoors at one of the many family campgrounds in San Diego County! First-time campers? Consider pra . . .